A famous picture from The New York Times shows one house unscathed in Mexico Beach, amidst flattened home sites. Why did this building withstand the storm? The owner worked with experts to design it for extreme weather events, using insulated concrete forms rather than taking a typical “design-to-code” approach. 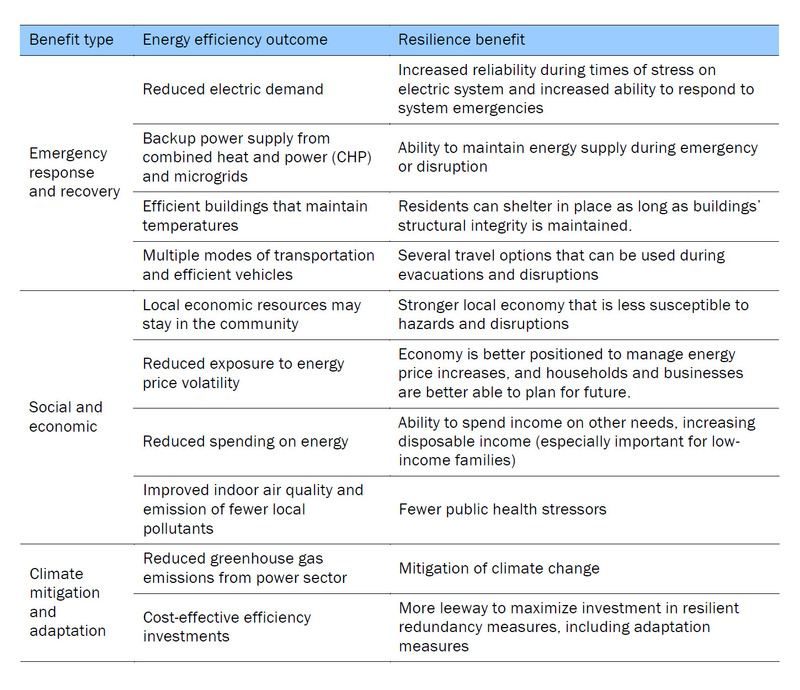 Learning this fact led me to consider the range of benefits that resilient buildings provide to their owners and occupants. Resilient building enclosures and wall assemblies will mitigate effects of strong winds, fire, and extreme temperatures as well as providing the commonplace money-saving and other advantages of energy efficiency. The construction code requirements needed to address climate risks are complementary with efficiency codes, e.g., windows required to meet “wind codes” are also more highly efficient windows. Setting codes for multiple resilience factors for each investment type will provide building owners and communities with maximum benefits. The Fourth National Climate Assessment predicts that across the US, extreme weather events including floods, hurricanes, wildfires and heat waves will drastically rise in intensity and frequency. A higher-performing building enclosure – due to the owner’s design, to updated building codes, or to energy efficiency retrofits – has a better chance of surviving an extreme event and can provide increased resilience. Benefits include better retention of a building’s desired temperature during a power outage, as well as increased durability. An efficiently constructed building also may require a smaller backup generator, using less fuel. With planned increases in the electrification of transportation and heating becoming more prevalent, buildings designed to stay comfortable – and that require less backup power during an extended outage – provide even more value. Grid operators would have more options if they could be confident that the majority of buildings remain safe for occupants longer during heat waves or cold snaps. With more efficient structures, resilience could rely less on the ability for centralized generation to withstand extreme events and more on structures that can remain habitable even while distribution lines are damaged. For example, the City of Boston recently changed its utility planning process to include preparation of infrastructure and other assets affected during extreme weather events. Adopting policies that support energy efficiency and provide resilience benefits to communities also create and sustain local jobs. These “co-benefits” ripple out, providing an important cumulative boost to local and regional economies as they also help to improve health and well-being. E4TheFuture’s Faces of EE initiative highlights more than 1500 workers whose passion for better American buildings also provides more comfort and energy savings benefits. While our 2018 Energy Efficiency Jobs in America report shows 2.25 million jobs in energy efficiency, this number could be much higher with additional smart investment and resilience planning. Please be in touch if you would like to join E4TheFuture’s effort to bring efficiency policy into state and local resilience planning. Contact policy@e4thefuture.org. You may also participate in our Faces of EE campaign. Moving into uncharted territory, we need all hands on deck! *According to a post-Michael report by the Structural Extreme Event Reconnaissance Network (StEER), in 2000 Florida passed building code legislation which included the “Panhandle Exemption”: A geographic area was excluded from mandatory compliance with wind design requirements. The exemption was subsequently removed from the code, but Panhandle damage would likely have been less severe if buildings constructed during the time of the exemption had instead been built to the full code requirements for wind protection.